Today is, of course, the 100th anniversary of the end of the Great War. As always the church was full for our Remembrance Service at St John’s. Here is my sermon for today. A hundred years seems such a long time. And yet – the century that has passed since the end of the Great War is so much shorter than we sometimes imagine. 1917 was a significant year – for the music industry at least, and jazz in particular. I don’t know how many of you here are jazz fans – but 1917 was the year that the first commercially available jazz record was released, by the Original Dixieland Jass Band who, in an early attempt at trying to be cool, spelled their name with a double s. It was also the year of birth of some great singers and musical performers. Some of you will remember them, while to others they may be unheard of – Ella Fitzgerald, Dean Martin, Dizzie Gillespie, Lena Horne, Thelonius Monk – but perhaps most notably, Dame Vera Lynn. Dame Vera turned 100 in March this year and as well as being such a great icon, her songs forever connected in our minds with the Second World War, she amazingly provides us with a living connection with the Great War and specifically with 1917, a year which was in many ways not just a turning point in the Great War but in world history. To most of us 1917 and the Great War may seem like history, but there are still those like Dame Vera Lynn whose lives connect with it, and many whose parents lived through it. My own father was born the year the war broke out. It’s not that long ago. Yesterday was Remembrance Sunday in the United Kingdom. 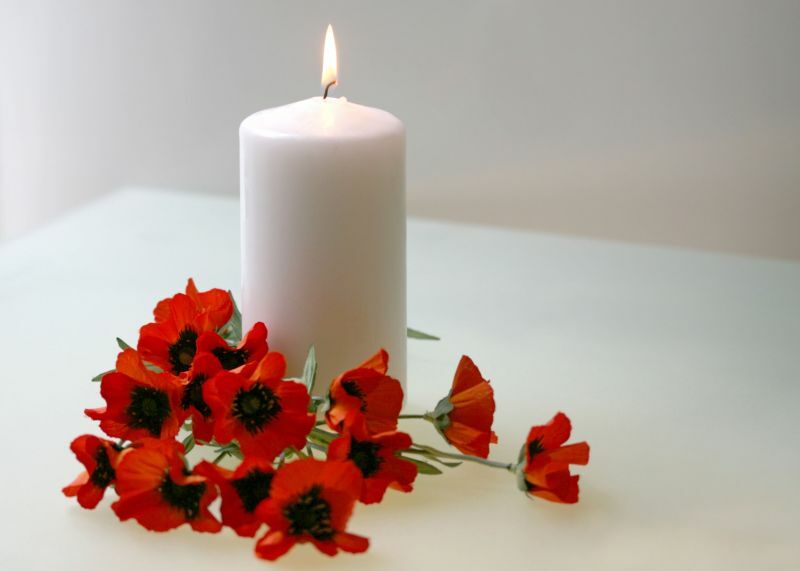 At St John’s we have a special Service of Remembrance culminating in the two minutes’ silence at the war memorial. Here’s what I said. As any general will tell you, the last thing you want is a soldier who won’t obey orders. When you’re engaged in warfare, discipline is vital. Which is why the Christmas Truce of 1914 caused the generals of both sides such a headache. During the week leading up to Christmas, groups of German soldiers on the one hand and mainly British soldiers on the other began to sing Christmas carols across the trenches. In places the trenches were only yards apart. As Christmas Day approached, soldiers of both sides started to climb out of their trenches, walking across no-man’s land. They talked with each other and exchanged gifts. Joint burial ceremonies took place, and meetings often ended with carol-singing. And on Christmas Day, most famously perhaps, games of football took place between the opposing sides – those who days earlier had been engaged in the most awful conflict. The priest I lived with was taking the service at Sts. Peter and Paul, Chaldon – it’s one of the other churches in our team ministry. Since Remembrance Sunday a number of people who were there have asked for a copy of her sermon, so I’m posting it here. that is for ever England. The opening lines of The Soldier, the poem by Rupert Brooke, one of the Great War poets, and perhaps the most famous lines from the great and moving body of poetry that they gave us. Here’s my sermon for Remembrance Sunday. Peace is an emotive word. It’s a word that conjures up all kinds of feelings within us. It is something that we all seek in life. We look around our world and see so many places, so many people, that need peace. And yet it seems so elusive. Having now passed the twelfth anniversary of the beginning of the war in Afghanistan, it is, I am sure, something that we all pray and hope for. And yet the reality of our world is that peace is so elusive. Even when not involved in our own conflicts British forces have been involved so much in peace-keeping duties around the world and will continue to be called upon in that role. Next year we reach the 100th anniversary of the outbreak of The Great War. This year we might think of as the 100th anniversary of the end of peace – the end of a world that had yet to be confronted with the reality of modern warfare. The end of a world in which no-one really could imagine the horrors that the world would face in two world wars and so many other conflicts. And over that 100 years so many have lost their lives – both those who have fought, and so many innocents. And we gather here again to remember those from our own nation who have given their lives, and to commit ourselves to continue to work for the peace for which they fought. The great paradox of peace is that it is often only achieved as a result of conflict. And since the year 1900 there has only been one year when no-one from the British services died in action – 1968. And today we remember those who achieved the peace we enjoy at the cost of their own lives, those who have given everything for their country, and we pray for those who still mourn for relatives and friends who never returned. And we pray for those who still struggle to come to terms with their experience of war. For the casualties of war include not just those who die, but often those who survive but who have witnessed, or endured themselves, great suffering. The poppy that we wear is a powerful symbol of our feelings on this day, associated as it is with the fields where so many died in the First World War, growing as such a simple and yet powerful symbol of life and self-sacrifice in a place where so much destruction had been wrought. It is a symbol with a double meaning – it reminds us of those who never returned from the conflicts in which our country has been involved. As such it looks to the past. But the poppy also looks to the future – it is a symbol of hope – for it reminds us that we must all continue to strive for that peace that so many gained for us with their lives. It reminds us that today is a day of both looking backwards and looking forwards. And yet it has been hard not to notice, as I have walked about Caterham this week, that so many people don’t wear a poppy. I remember as a child almost everyone wearing one. You were unusual if you didn’t. Because most adults, when I was a young child, still remembered the Second World War vividly. They all knew people who had fought and suffered and died. And their parents and my grandparents were the generation who had lived and fought and died in the Great War. So they wore a poppy. Today, those of my age group and younger don’t have the same experience. And so for many remembrance doesn’t seem so important, and those who wear a poppy today stand out. So many people today – in spite of the accessibility of news through television and the newspapers – have no direct experience of war, either as a combatant or as a civilian or as a relative or friend of someone serving. I said earlier that today is a day both of looking backwards and looking forwards. As you came to church this morning you will have heard our bells ringing. And our bells themselves are a symbol of both mourning and of hope. As always they are rung on this day half-muffled. That means that the bell clapper, the part that strikes the bell, is covered on one side so that it makes that softer, rather sombre sound, every second time the bells ring. So the bells alternate between a rather mournful sounding ring, so appropriate to today and so expressive of our feelings, with a brighter and more joyful sounding ring. Silent I hung in war, I sang the hour of peace. O England, evermore pray thou that wars may cease. And on Armistice Day, the day that war ended, the 11th November 1918, that bell that now hangs in our tower, that had hung silently for four years, rang out across London as it sang the hour of peace. Today is a day of both of looking backwards and of looking forwards. And it is in Jesus Christ that we can find a sense of hope for the future as we remember today those who died as a result of war and conflict. And we find it in the cross upon which he died. The cross reminds us that Christ himself undertook the supreme sacrifice. There is no greater love than to lay down one’s life for one’s friends said Jesus, before he did just that for each and every one of us. Laying down his life for us on the cross, only to rise again on the third day to show us the way to eternal life. Today we remember all who have died as a result of war – and give thanks too for all those who risked their lives but came home. And as we remember today those who have made that sacrifice of life itself – of giving their lives in the service of their countries and of their families and communities – we can give thanks for them, know the assurance that Christ gives us that they are at rest with him for eternity, and dedicate our lives to the service of the communities for which they died. We must always remember – for it is only when you look back and remember and reflect on the past, that you can look forward and know what you need to work towards in the future. And remembrance really means something when it looks not only back to the past, but spurs us on into the future to continue to work for the peace for which those we remember today died. It gave rise to the association of poppies with those who had died and to the custom of wearing poppies for Remembrance. He wrote it in the spring of 1915 after the terrible battle at Ypres. He had just buried a friend, Lieutenant Alex Helmer, who had been killed by a shell. He had carried out the burial service himself since there was no chaplain available. Poppies were growing in the ditches around the cemetery and were blowing in the gentle east wind as McCrae wrote the poem. In fact, McCrae actually threw the poem away, but luckily it was rescued by a fellow officer and sent to Punch magazine which published it the same year. McCrae himself died in 1918. The poem finishes with a call not to break faith with those who have died. We keep faith with those who died by continuing to commit ourselves to working for peace and justice and reconciliation in our world and in our nation and in our community – those ideals for which so many have fought and died. And for which God gave his Son to die upon a cross.